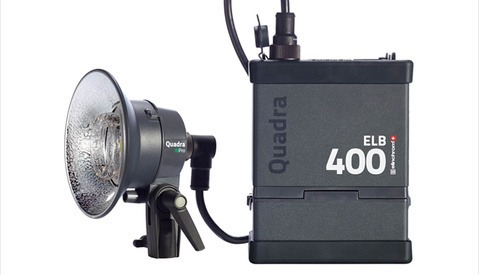 With the recent announcement of the Profoto B2, Elinchrom's position in the ultra-portrable strobe pack market was somewhat overshadowed as the former exceeded the Elinchrom Quadra Hybrid in many aspects. 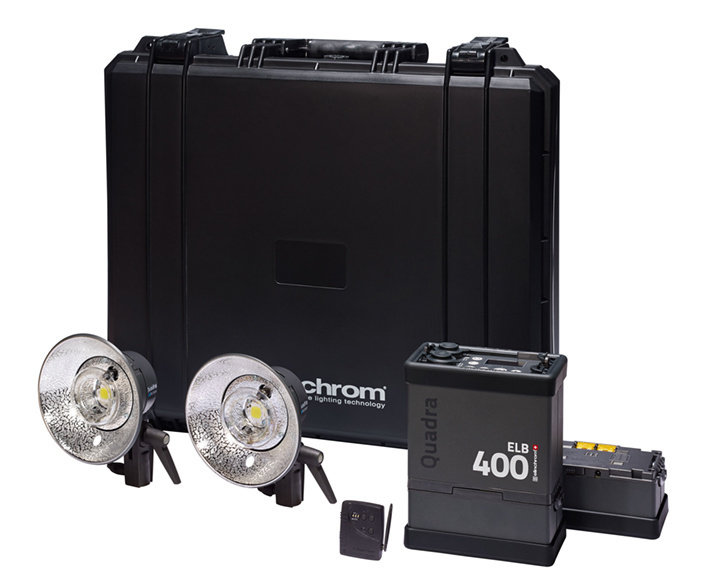 Not to be outdone, Elinchrom has now announced the release of its next generation on-location pack and head kit known as the ELB 400. The ELB 400 follows a similar form factor to the Quadra Ranger Lithium-Ion kit but with several enhancements. 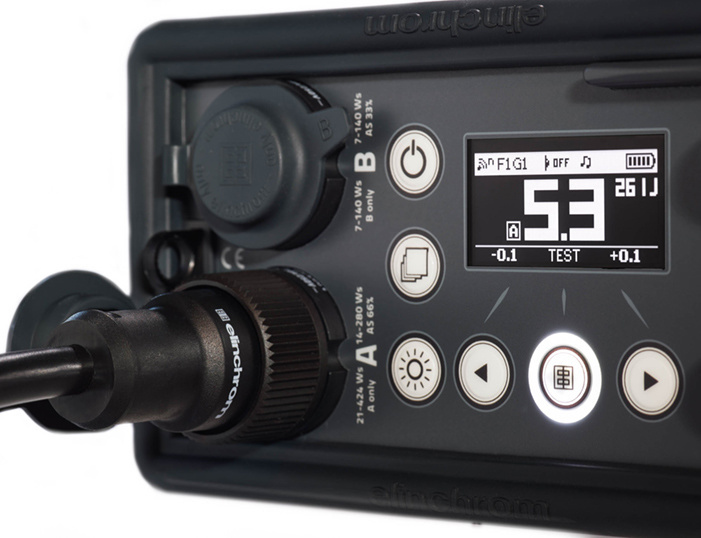 On a superficial level, the pack now sports a modern OLED display and simplified controls (seen below) similar to the one found on their top-end ELC studio head. The upgrades, however, are much more than skin-deep which make it a much stronger contender to the B2. Performance improvements on the battery side include a 25 percent increase in max power flashes in fast recycle mode, taking the number to 350 on a full charge, as well as a new battery management system that can recover deeply discharged Li-Ion batteries. Recycle time has also been improved, going from 2 seconds to 1.6 seconds at max power and overall power range on the low end has been extended by 1/3 of a stop for a total range of close to 7 stops. The ELB comes with two head options: a Pro head and an Action head. The Pro head now offers hypersync capabilities, although actual sync-speed and power figures on it are yet to be released. The Action head offers short flash durations of 1/2800 at full power and 1/5700 at 1/3 power. Further following in the ELC's footsteps, the ELB offers a variety of creative modes including delayed, stroboscopic, and sequence configurations. Although details are scarce, I'm told that the ELB has the next generation Skyport technology built into it which will hopefully translate into more modern and intuitive triggers in the near future. From what I can tell, the new ELB also offers a more flexible LED modeling light which a programmable as opposed to fixed sleep timer. The ELB will be offered in four different kits with single head Pro and Action, as well as two head options that include an extra battery. Availability is projected to be around April at a price slightly above what the Quadra Lithium-Ion is currently sold at. We can therefore expect a price of around $2,200+ USD for a single head Pro Kit and somewhere just north of $3,200 for the two head kit. While it doesn't offer TTL capabilities like the B2, the added power and higher flash capacity with a price close to $800 less than the B2 two head kit places the ELB as a strong competitor at an attractive price point. On the original Quadra if you hold the modelling light button for 3 or more seconds the modelling light says on. I have a sneaking suspicion that the "Pro" head is a rebranding of the old "A" head. The reference to "Hypersync" is used specifically in the product release; Hypersync relies on longer flash duration, which is the distinction between the A and S heads. The Pro head would be the S head, not A. The A (or action) head has the fast flash duration. My bad. Lesson to be learned: double check when posting from the pub! Agreed with Paul. If you hold the modeling lamp button on the current Quadra, it will force the light to stay on indefinitely. This Quadra 2 head kit is more expensive than the B2 two head kit, yet you compared the price of the single head Quadra kit with the two head B2. The single head kit for each is about the same price. 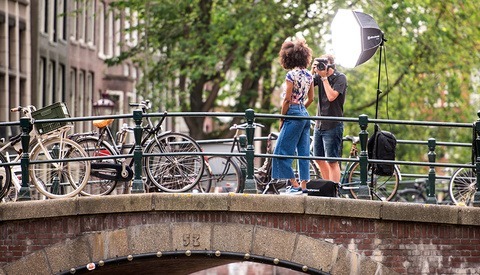 I'm curious, does anyone make self-contained monolights with replaceable battery packs? Among the big brands, there's the Profoto B1. I'm sure there are other, cheaper options too. How is this different than the Quadra? 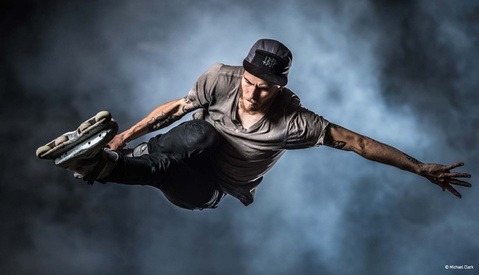 Elinchrom's RX tech is supposedly PW compatible, hypersync is PW tech. So if it talks to PW triggers, reasonable to expect TTL is viable through a non elinchrom remote. PW compatibility does not equal TTL compatibility. IGBTs are required for TTL, as well as better heat distribution, power recycling, output, etc. I would be extremely surprised if this pack has TTL in the long run. 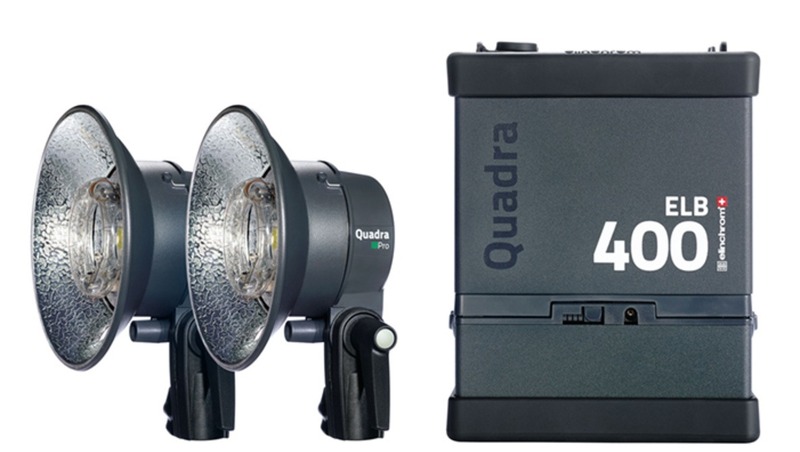 I'm glad to see an update to the Quadra but power a side, the Profoto B2 is looking more appealing. Being a Ranger user, I wish the Quadra was a bit more durable. Is anyone using this with Bron Para88? Is it possible?